KYN61-40.5 type _ Jiangsu Zheng Wei Electric Power Equipment Co., Ltd.
Kyn61-40.5 (Z) refers to a complete set of indoor power distribution devices equipped with armored removable ac metal closed switchgear (hereinafter referred to as the switchgear) with three-way intersecting flow of 50Hz and rated voltage of 40.5KV. As a power plant, substation and industrial and mining enterprises to receive and distribute electricity, to control, protect and detect the circuit functions, and can also be used in frequently operating places. 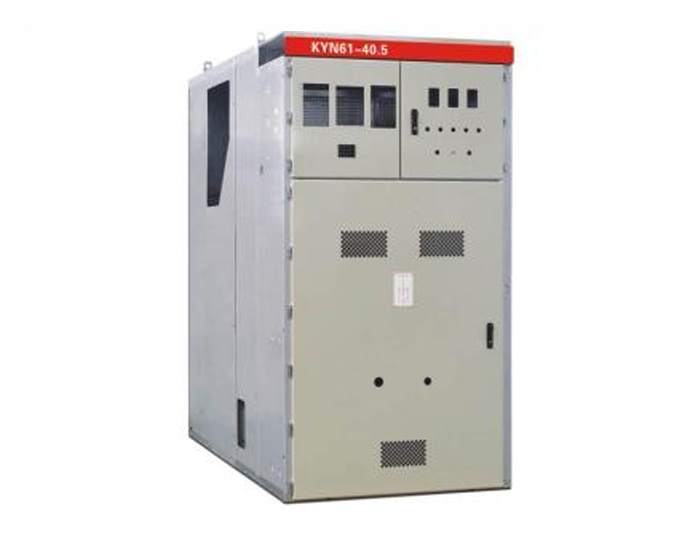 The kyn61-40.5 metal-armored intermediate switch cabinet is designed according to the metal-clad metal-enclosed switchgear in gb3906-2006. It is applicable to three-phase ac rated voltage 40.5 kV, rated frequency 50 hz power system, used for receiving and distribution of electrical energy and the circuit control, protection and detection, in addition to the widely used for general power system, also can be used in place of frequent operation. 3. The daily average relative humidity of the environment is no more than 95% and the monthly average is no more than 90%. 5. The daily average value of water vapor pressure shall not exceed 2.2kpa and the monthly average shall not exceed 1.8kpa. 6. Places free from fire, explosion, serious pollution, chemical corrosion and violent vibration. When used in circumstances beyond the prescribed normal conditions, it shall be negotiated between the user and the manufacturer.